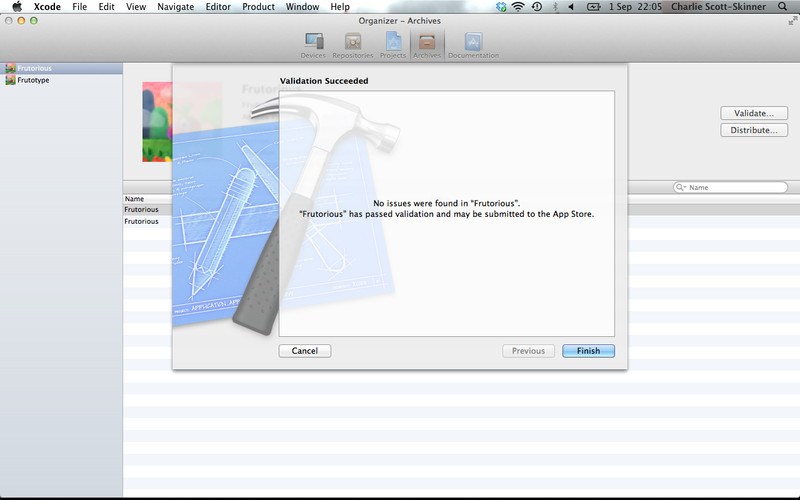 … and last night, Charlie pressed our button that sends Frutorious onto the journey to the AppStore. 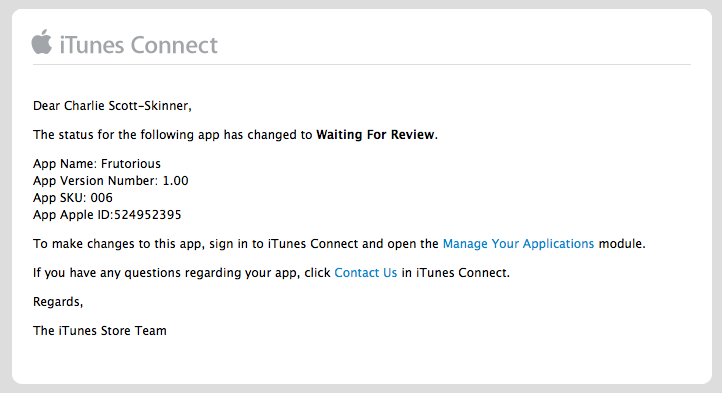 So now all we have to do is wait between a week and two weeks for the ladies and gentlemen at Apple to make sure we haven’t made some horrible dirty willy bum-bum simulator or something. We haven’t of course. We’ve made a hybrid arcade puzzle platformer – and it’s now WAITING FOR REVIEW! We’ll bring you more news soon. 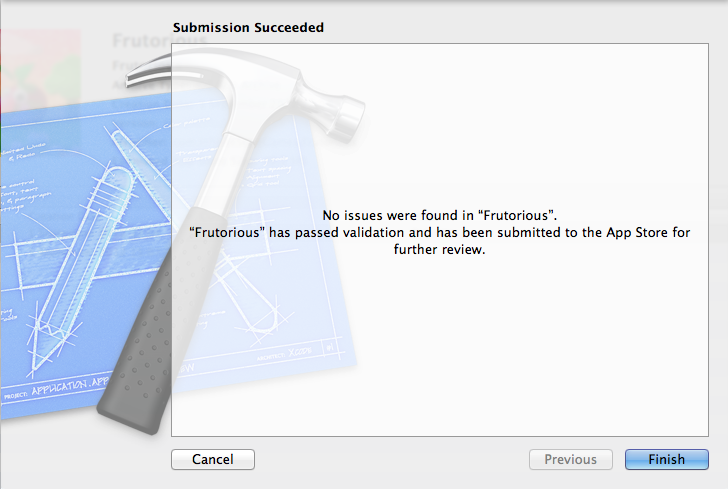 Fingers crossed Frutorious makes it through Apple Cert with no problems because like Dirty Den on a webcam chat, we want to get it out as soon as possible. Previous post11th Hour Amusing Bug… GIANT F.I.G!